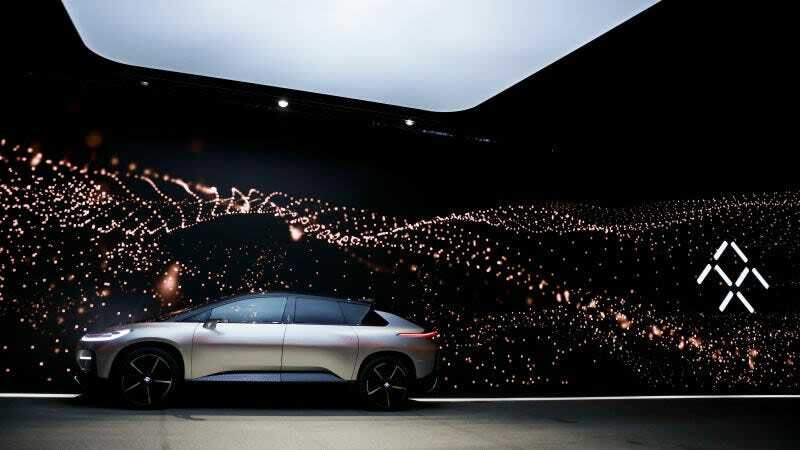 Two new startups are joining the electric car world—and both include executives and employees who recently departed Faraday Future, according to a new report and a source who spoke to Jalopnik. The news comes just a month after a round of top executives departed the company, including former chief financial officer, Stefan Krause. Krause left the company in October, but news of his departure wasn’t learned until Jalopnik first reported on his resignation last month. One startup, Indi EV, launched this fall and is being backed by Chinese entrepreneurs, according to a source who spoke to Jalopnik. A review of listings on LinkedIn shows the company is stacked with former Faraday employees. Steve Osario, Faraday’s former head of design operations and advanced model development, is Indi EV’s chief operating officer and Steven Offutt, a former senior manager at FF, is now working as Indi EV’s manufacturing leader. Documents filed with the California Secretary of State show Indi EV was incorporated in August. Just last week, in a brief filing, the company said it’s in the business of electric vehicle design and manufacturing. A minimalist website lays out a number of job listings and portrays the company as fiercely independent. A message to Indi EV’s boilerplate email address was not immediately returned. Separately, Krause has apparently started a new venture with a funky name, according to a report from Electrek. Sounds very much like a Faraday spin-off. A request for comment sent to EVELOZCITY was not immediately returned. Electrek reported that Richard Kim, Faraday’s former head designer, is joining the new startup. A WHOIS search shows the startup’s website was created in recent weeks and records filed with the Delaware Division of Corporations show the company was incorporated on November 7, about three weeks after Krause left the company.